There are 5 posts filed in Reading books in 2013 (this is page 2 of 2). This was the first book I read in 2013. I was a few months in my job as a project manager. I managed projects before and knew that my kind of leadership style is called servant leadership. Therefore, I picked up that book and began reading it. I can’t really remember how good the book was. I will write it down after I made it through my highlights. It’s full of metaphors and not the classical management book but nonetheless very interesting and insightful. The book starts off with Herman Hesse’s Journey to the East. The central figure of the story is Leo who accompanies the party as the servant who does their menial chores, but who also sustains them with his spirit and his song. The interesting thing about Leo was that he was a servant but also the leader of the group. Therefore the title. The prophet grows in stature as people respond to his message. If his early attempts are ignored or spurned, his talent may wither away. hmm. I can’t remember why I highlighted this part but it makes me curious. I think it’s an analogy that if you can’t establish authority/trust early on you can’t lead the group later on. One does not awake each morning with the compulsion to reinvent the wheel. But if one is servant, either leader or follower, one is always searching, listening, expecting that a better wheel for these times is in the making. That’s about being humble and don’t expecting the worst from other people. It’s about trusting other people. For me, it was that I listen to experts on my team and not make decisions I didn’t understand. Also I first looked into existing knowledge before trying to come up with my own stuff. There’s a wealth of knowledge out there about practically anything. Buy or rent a book, extract what you’ll need, and you will grow. Rather, they will freely respond only to individuals who are chosen as leaders because they are proven and trusted as servants. To the extent that this principle prevails in the future, the only truly viable institutions will be those that are predominantly servant-led. This is something I experienced over and over again. If you show that you care, people will care about what you care. You are a role-model for your team. You don’t have to perfect but if you expect some quality you should demonstrate it yourself. Aka. Do as I do. By extending education for so many so far into the adult years, the normal participation in society is effectively denied when young people are ready for it. This was about developing leaders early on. I had the luck of leading early on. There are places for that but you have to take the initiative which – imho – makes a leader. If you wait until someone gives you permission to lead and shows you the ropes, you aren’t really a leader. That’s also important. Servant leadership isn’t a cheap trick to get people to trust you. It’s about identity. And different styles of leadership work with different people in different situations. The difference manifests itself in the care taken by the servant-first to make sure that other people’s highest priority needs are being served. I talked about that before. You have the responsibility over your team. Look up how leaders of tribes acted. They cared about their tribesmen because without them they would die. The forces for good and evil in the world are propelled by the thoughts, attitudes, and actions of individual beings. 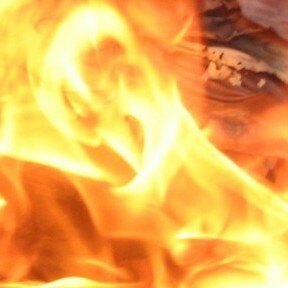 Or without taking good and evil – everything is propelled by individuals and individuals bring change. You can practically look at every invention or movement, etc. it starts with one or a few people. By clearly stating and restating the goal the leader gives certainty and purpose to others who may have difficulty in achieving it for themselves. Purpose. Purpose. Purpose. Why are we doing that? A leader does not elicit trust unless one has confidence in his values and his competence (including judgment) and unless he has a sustaining spirit (entheos) that will support the tenacious pursuit of a goal. Competence: He can do it? Motive: He wants to do it? If you lack one of the things, you probably won’t be trusted. I have a bias about this which suggests that only a true natural servant automatically responds to any problem by listening first. It is because true listening builds strength in other people. One of the arts of communicating is to say just enough to facilitate that leap. Many attempts to communicate are nullified by saying too much. 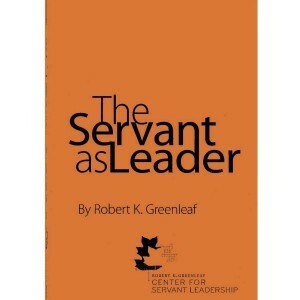 The servant-leader must constantly ask himself, how can I use myself to serve best? Even more so: Ask your team or listen to it. The servant always accepts and empathizes, never rejects. The servant as leader always empathizes, always accepts the person but sometimes refuses to accept some of the person’s effort or performance as good enough. Acceptance of the person, though, requires a tolerance of imperfection. I think I’ve written about that one also multiple times. If you have a team, you accept them, you fight for them, you don’t betray them. As a practical matter, on most important decisions there is an information gap. There usually is an information gap between the solid information in hand and what is needed. The art of leadership rests, in part, on the ability to bridge that gap by intuition, that is, a judgment from the unconscious process. One is as once, in every moment of time, historian, contemporary analyst, and prophet—not three separate roles. This is what the practicing leader is, every day of his life. I like this description. It highlights the different modes of acting. You have to plan, to research, to review and to be present. Foresight is the “lead” that the leader has. Once he loses this lead and events start to force his hand, he is leader in name only. He is not leading; he is reacting to immediate events and he probably will not long be a leader. Incredible important. He who sees the future leads to there. A leader must have more of an armor of confidence in facing the unknown—more than those who accept his leadership. Leadership by persuasion has the virtue of change by convincement rather than coercion. Its advantages are obvious. Perhaps, as with the minister and the doctor, the servant-leader might also acknowledge that his own healing is his motivation. I noticed that in retrospective. I wasn’t just a leader in an organisation. I acted unconsciously as some kind of parent that I didn’t have. I wonder how I would lead a team now. Probably quite differently. Others aspire to distinction (or the reduction of problems) by embracing “gimmicks”: profit sharing, work enlargement, information, participation, suggestion plans, paternalism, motivational management. Nothing wrong with these in a people-building institution. But in a people-using institution they are like aspirin—sometimes stimulating and pain relieving, and they may produce an immediate measurable improvement of sorts. But these are not the means whereby an institution moves from people-using to people-building. I also talked about that multiple times. Try to solve the cause not the symptoms. And if a flaw in the world is to be remedied, to the servant the process of change starts in here, in the servant, not out there. Joy is inward, it is generated inside. It is not found outside and brought in. I like this part. It makes me think. I can see several view points. From the psychological stand point of emotions to the work itself. If your work is no fun it doesn’t matter if you can play volleyball in your breaks. 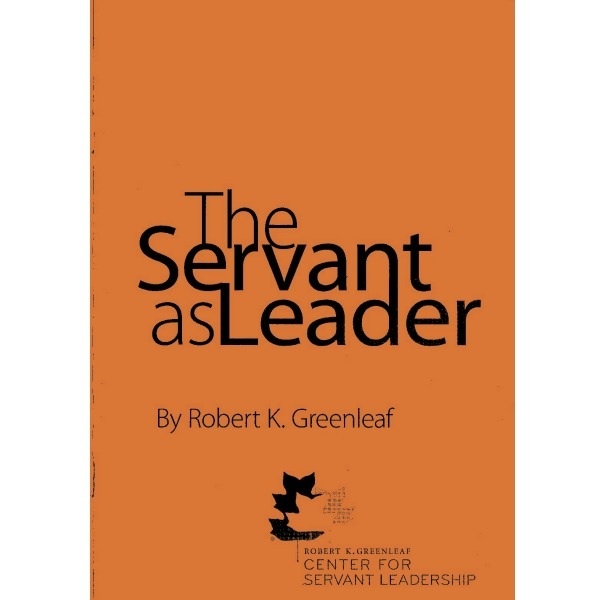 Servant-leadership is not about a personal quest for power, prestige, or material rewards. Instead, from this perspective, leadership begins with a true motivation to serve others. The focus of servant-leadership is on sharing information, building a common vision, self-management, high levels of interdependence, learning from mistakes, encouraging creative input from every team member, and questioning present assumptions and mental models.